Femtosecond laser cataract surgery with LENSAR® utilizes the most sophisticated 3D imaging laser system available to make highly accurate incisions in the eye during cataract surgery. The LENSAR Laser System is a seamless integration of both advanced femtosecond laser and proprietary measurement and laser scanning technologies. The LENSAR approach brings accuracy and precision of femtosecond lasers into cataract surgery. LENSAR will replace blades and greatly reduce, if not even eliminate the need for ultrasound power, enhancing the speed and precision of the majority of cataract removals. This is because the LENSAR design goals required the system to increase the overall surgical efficiency, safety and predictability of lens removal, while also improving the stability and predictability of intraocular lens placement. With precision at the micron level, the LENSAR femtosecond laser may significantly enhance both the accuracy and predictive replication of key manual steps performed during cataract surgery to enhance the visual outcomes of cataract patients. 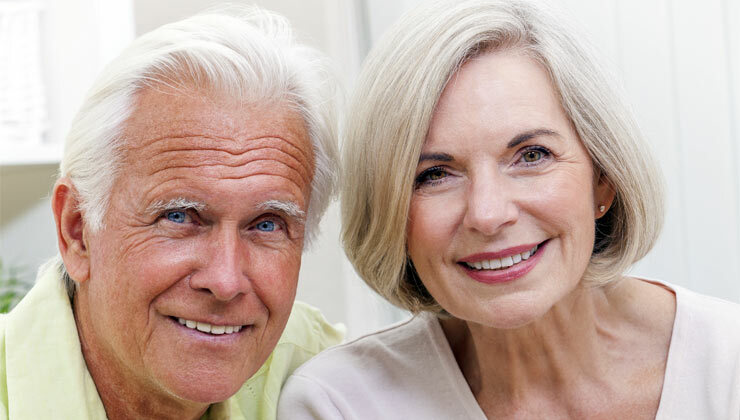 Advanced cataract surgery is designed to improve your vision and reduce your dependency on glasses or contact lenses. During your procedure, your surgeon will use the most advanced technology available, including premium intraocular lenses and the LENSAR Laser System with Augmented Reality™, an advanced imaging system. 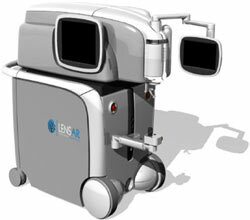 LENSAR's superior Augmented Reality imaging system represents a more intelligent approach to cataract surgery. With Augmented Reality, your surgeon can see everything inside your eye in greater detail. This allows the surgeon to plan the surgery better, to precisely soften the cataract in preparation for removal, and to ensure the appropriate condition for the most accurate placement of your intraocular lens. It is LENSAR's precision, imaging, and laser incisions that allow your surgeon to ensure that the cataract is safely removed and that the new intraocular lens is perfectly placed, resulting in better visual outcomes. • It is safe, effective, and uses the proven laser technology. • A unique, high-resolution 3-D view of your eye that allows your surgeon to tailor your treatment, which can improve visual outcomes. • The most advanced technology available, which may reduce the time it takes to remove your cataracts. • A system designed with comfort in mind, so you can relax, knowing the latest technology available is being used to treat one of your most valuable senses- your sight. Depending on your pre-surgical eyesight and the desired result, our surgeon will tailor a treatment plan with the help of the CATALYS System which will involve the implementation of a high-precision laser incisions into the cornea and the implantation of a special intraocular lens/premium lens (e.g. a multifocal lens). This customized treatment may reduce or eliminate the need for glasses or contact lenses. DDuring cataract surgery, the lens, which has become cloudy, is normally removed through small incisions. Traditionally these incisions are done manually with a blade or needle. While the blade technique is still effective, the LENSAR uses a 3D-Imaging measurement and guidance system to visualize and characterize the surfaces of the eye. This feature, which is unique to the LENSAR Laser System adjusts for individual differences and allows customized treatment which facilitates precise, automated and accurate surgery for reliable outcomes. The LENSAR laser also assists in softening the cataract prior to its removal. All modern cataract surgery involves the use of ultrasound to break up or emulsify the lens material. The more mature the cataract, the harder the lens material, and therefore, the greater the amount of ultrasound energy required to dissolve the lens. If excessive, this energy can damage the delicate cells on the inside of the cornea (the clear front of the eye), potentially leaving the vision blurry after surgery. The LENSAR laser can soften the lens material so that hardly any ultrasound energy is needed. This in turn means there is less chance of corneal damage from the procedure and a quicker recovery of vision. This is particularly important in patients who already have a "weak" cornea.